Hello friends! Welcome back for day 3 of our November release! 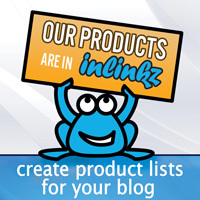 Each day we are showing off some new products, providing lots of inspiration, and even having a giveaway! 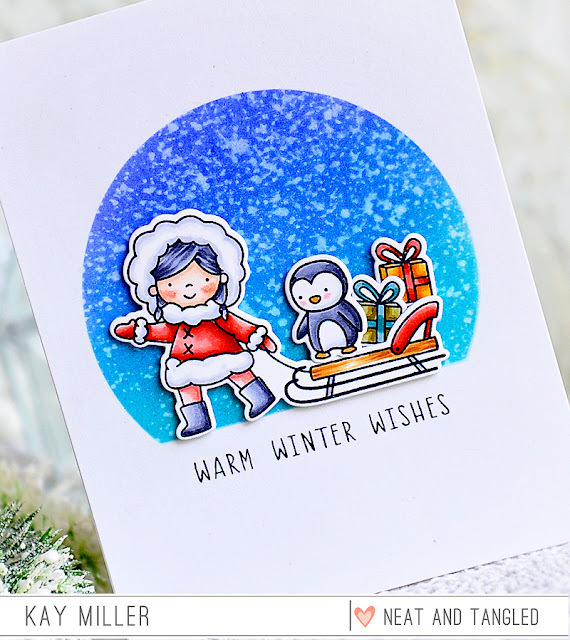 In case you mised Day 1: Triangle Box Die + Gift Card Box - Christmas Sentiments stamp set, or Day 2: Fa La La + Penguin Treat Holder dies be sure to check them out! 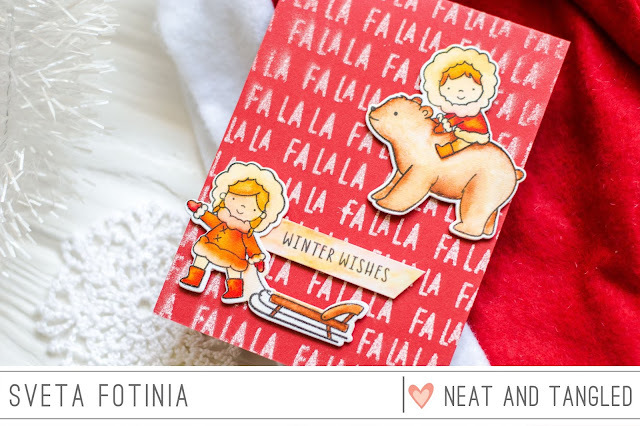 Today we have another new stamp and die set designed by Elena Roussakis. 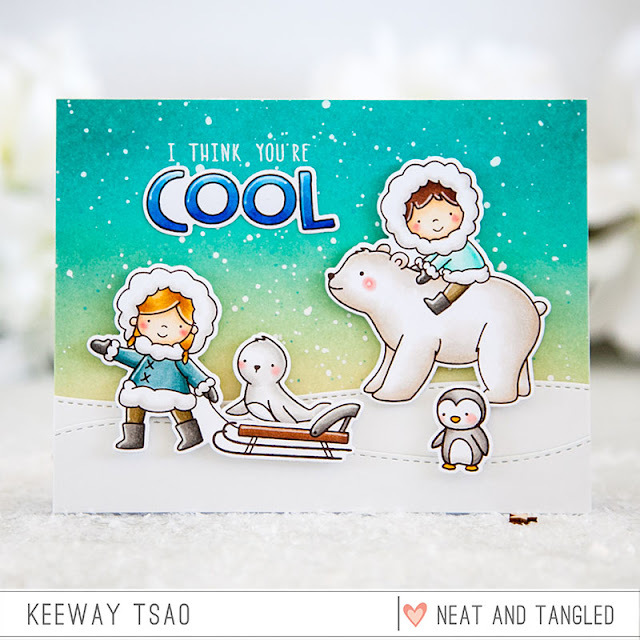 Say hello to Stay Cool! 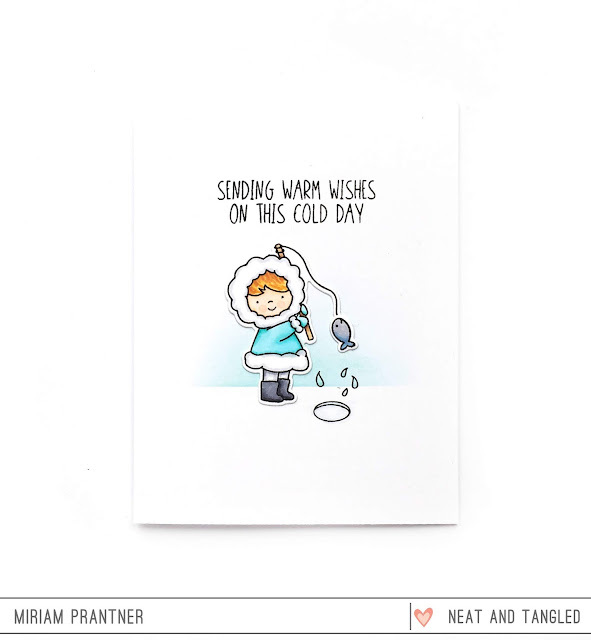 This fun 4x6 set is filled with chilly friends sure to warm your heart! 1. Be a follower and leave a comment! Do you like the snow? I love the snow... but not driving in it! 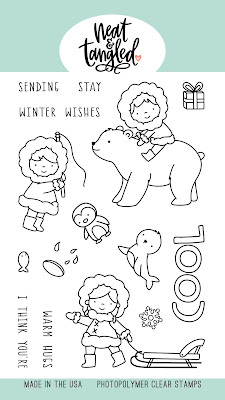 Adorable new stamp set! I do love the snow but find it hard to go out in the winter on crutches. I follow on facebook, commented and shared. Wow! This stamp set is absolutely adorable!!! I love it! And yes, I love the snow!!! This is a lovely new set; gorgeous images. 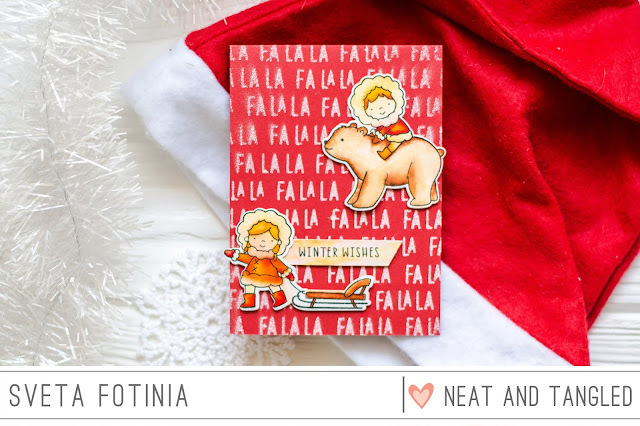 Love the eskimo on the bear; so cute. The DT cards are ALL quite stunning. Well, I love in So. Florida where it doesn't snow, so I have no idea. I love the LOOK of snow, though; very pretty! What an adorable stamp set. Love everything about this release. Just so hard to choose a favorite. 1. Adorable stamp set!!! Love it!!! I like so much the snow. 2. Shared on FB (Arianna Barbara). Love the snow! We very rarely get any where I live, but just up the hill about 20 minutes away I can go and see some! Love to see it falling! 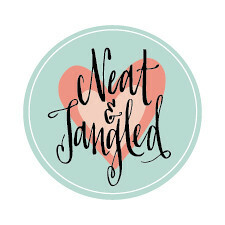 Darling new set! Love the samples! Love this set! I like the snow if I can stay inside and look at it! Beautiful stamp set and all the cards. I love snow and making snowmen. The little snow kids are so cute! I love their hair and jackets. The bear is really sweet, too!! I reposted on Instagram. I think. I am NO EXPERT. This is the most adorable set and the samples are gorgeous. I love the look of snow, not necessarily the feel of it. thos stamp set is super cute! Im follower and I LOVE snow! Im like a little kid when is snowing. want go outside and play! I shared in m IG. so I don't venture out without help. this set is SUPER CUTE!! love the cute little eskimo kids!! love the cards!!! and yes, i love snow! but i live in SC where it doesn't snow! ha! I've only been on snow once. I was surprised how hard it was and someone threw a snowball in my face....hard....and it hit me in the mouth which was really bad because I had braces!! So my feeling about snow are mixed...it looks lovely but its deadly!!!!!! Love this new set, especially the boy on the polar bear, reminds me of Bella our Golden Retriever!! This is such a sweet stamp set! I love the snow when it's not a blizzard. I don't always enjoy shoveling it, though! Love that adorable set! I think snow is beautiful. However, I live in Texas so we don't see much of it. We obviously can't drive in it, and everything shuts down, so if it lasts longer than a day or so, we're all ready for sunshine! oh my....so adorable! Love all those sweet cards!!! The eskimos are SOOOOO CUTE! And I love snow and building snowmen! I follow on Facebook and shared with friends! I LOVE your instagram and reposted about the release! in Toronto!! I follow by email. I love the snow! It's magical and the holidays wouldn't be complete without it. I like watching the snowfall from inside next to the fireplace, but not driving in it. This set is darling! So fun! So cute! 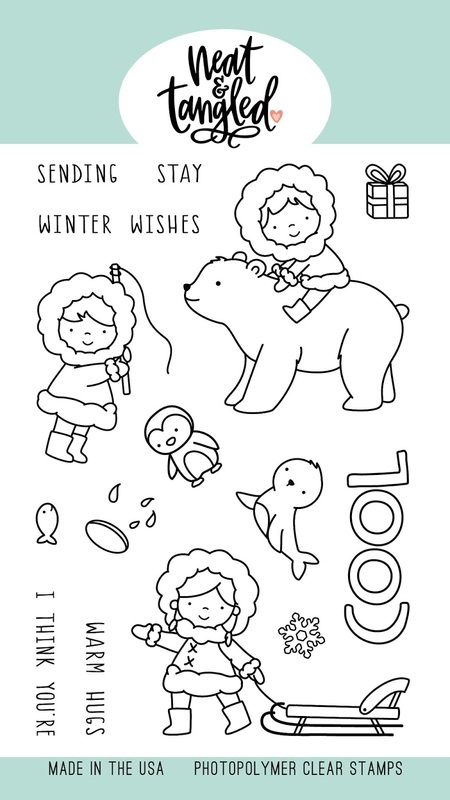 Love this new stamp set, especially the little penguin and seal! I do not love snow. The only time I like it is the first snowfall of the season (because it's always so beautiful) and on Christmas Eve. Otherwise, I would love year round sunshine and heat! I love the baby animals and the hole in the ice is too cute. I love snow, just not to much of it. What an adorable set! Yes, I like the snow. I like being cozy inside and warming up with hot cocoa and sledding with my kids. I have a love-hate relationship with snow - I love the look of it but I hate the cold it brings. Such a cute set. Yes, I do like snow. 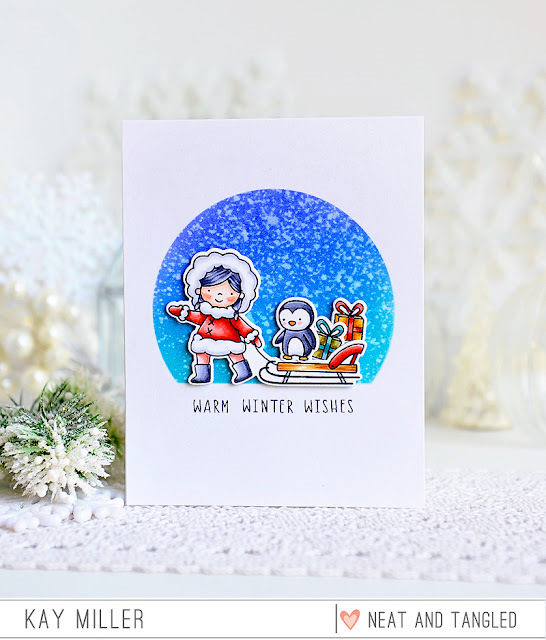 This set is soooo adorable; specially that super cute little penguin!!! I LOVE snow . . . when it is falling and how beautiful everything looks, but I am NOT a fan of the cold. So, if only it could snow while being warm . . . The Stay Cool set is adorable. As we can have a lot of snow in Montreal at times I used to like it when I was much younger but now not so much. OMG! This set is so adorable and sweet! Can’t wait for the release! 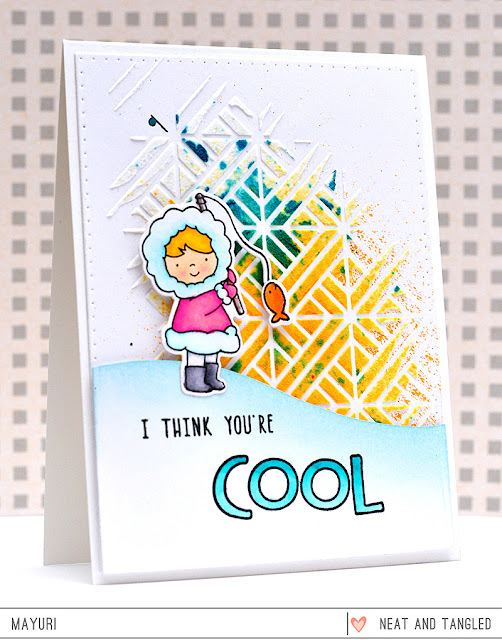 Adorable stamp set & fantastic inspiration projects! What an adorable stamp set! Wonderful creations from the designers as always! This stamp set is so cute and all the cards are adorable! I love snow for about 2 days then I want it gone! I do love the Christmas movies with all the snow. I’m totally in love with these cuties. So great that they are whimsical and cute without being too cartoonish!! Hmmm...I like snow for Christmas and to send the kiddos out to play in and to go sledding, not so fond of driving in it though! I Adore this set!!!! Soooo fun!!! Love the sight of falling snow but we don't get it here. It sure looks like its a lot of fun. Great stamp set with the adorable girls and critters.